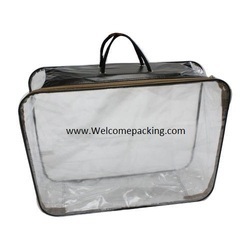 We are a leading Manufacturer of lehenga and blanket, pillow packing bags, pvc blanket bag, pvc blanket cover bag, transparent pillow cover bag, zipper blanket bag and blanket packaging bag from Surat, India. 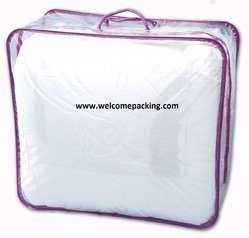 Description of bedding set bed sheets And Lehenga clear pvc packaging bag made in India. 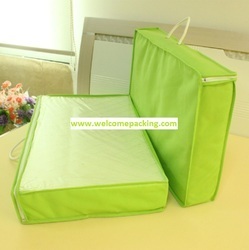 Size 15 x 23 x 3 Inches (LxHxD) and any other size can be customized. 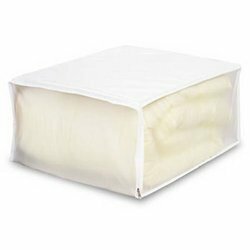 Using the best grade material, we are successfully presenting a wide and quality assured gamut of Blanket Bag that is widely demanded in the market. 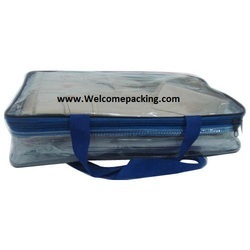 Offered blanket bag finds its expensive usage in many places to pack the blanket safely from dust and moisture. 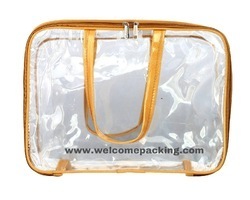 This blanket bag is obtainable in white color and can be modified also. 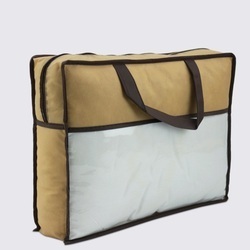 Besides, clients can purchase this blanket bag at affordable prices. We are a leading Manufacturer of lehenga and blanket, pillow packing bags, pvc blanket bag, pvc printed blanket bag, zipper blanket bag and pillow packing bag from Surat, India. We are a leading Manufacturer of lehenga and blanket, pillow packing bags, pvc blanket bag, pvc printed blanket bag and blanket , pillow packing bag from Surat, India. 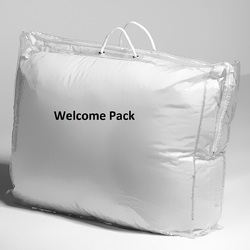 Being a leader in the industry, we are engaged in offering a qualitative range of¿¿Blanket Packaging Bag¿¿to our customers. We are a leading Manufacturer of lehenga and blanket, pillow packing bags, pvc blanket bag and blanket , pillow packing bag from Surat, India.